The Domaine Amiot-Servelle is run by Christian Amiot, one of the sons of Pierre Amiot from Morey St Denis, and married to Elisabeth Servelle, daughter of Bernard Servelle-Tachot. The vineyard holdings below come from the latter, though from 2010 there will be village Morey St Denis, Charmes-Chambertin and Clos St Denis from the Amiot side. Christian is also in charge of the local syndicat de l’appellation. 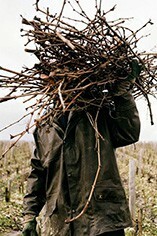 The domaine has been farmed organically from 2003, with AB certification from the 2008 vintage. The wines taste fresh and modern although there is no great reliance on oak - 20% new wood is used for the village wine up to 50% for the two top premiers crus. Since 2007 there has been a single vineyard bottling of Chambolle-Musigny Bas Doix alongside the regular version from a blend of plots. 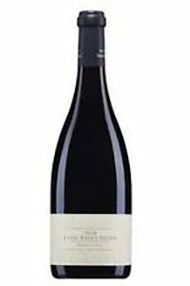 The 2013 Clos Saint Denis Grand Cru has a tightly wound bouquet with blackberry and boysenberry fruit, less expressive than the Charmes-Chambertin ’11 but with fine delineation and focus. The palate is very structured with fine, succulent tannins and a keen silver thread of acidity. There is real density to the Clos Saint Denis, a symmetrical structure and a lovely dash of white pepper on the spicy finish. It deserves several years of aging. Superb.